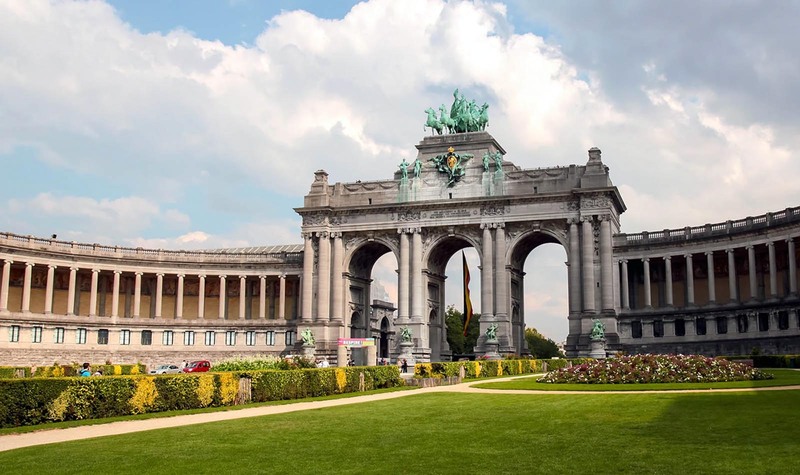 Belgium (/ˈbɛldʒəm/; Dutch: België; French: Belgique; German: Belgien), officially the Kingdom of Belgium, is a federal monarchy in Western Europe. It is a founding member of the European Union and hosts the EU’s headquarters as well as those of several other major international organisations such as NATO. 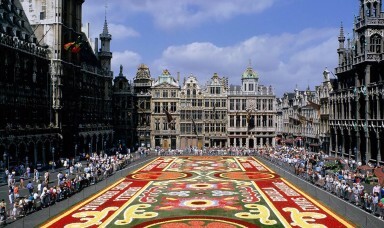 Belgium covers an area of 30,528 square kilometres (11,787 sq mi), and it has a population of about 11 million people. Belgium shares borders with France (620 km), Germany (167 km), Luxembourg (148 km) and the Netherlands (450 km). Its total area, including surface water area, is 30,528 square kilometres; land area alone is 30,278 km2. 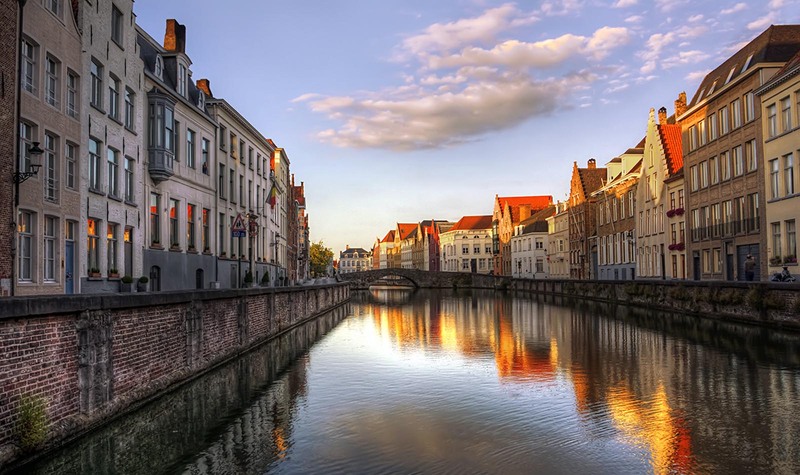 It lies between latitudes 49°30 and 51°30 N, and longitudes 2°33 and 6°24 E.
Belgium has three main geographical regions: the coastal plain in the north-west and the central plateau both belong to the Anglo-Belgian Basin; the Ardennes uplands in the south-east are part of the Hercynian orogenic belt. The Paris Basin reaches a small fourth area at Belgium’s southernmost tip, Belgian Lorraine. The coastal plain consists mainly of sand dunes and polders. Further inland lies a smooth, slowly rising landscape irrigated by numerous waterways, with fertile valleys and the northeastern sandy plain of the Campine (Kempen). 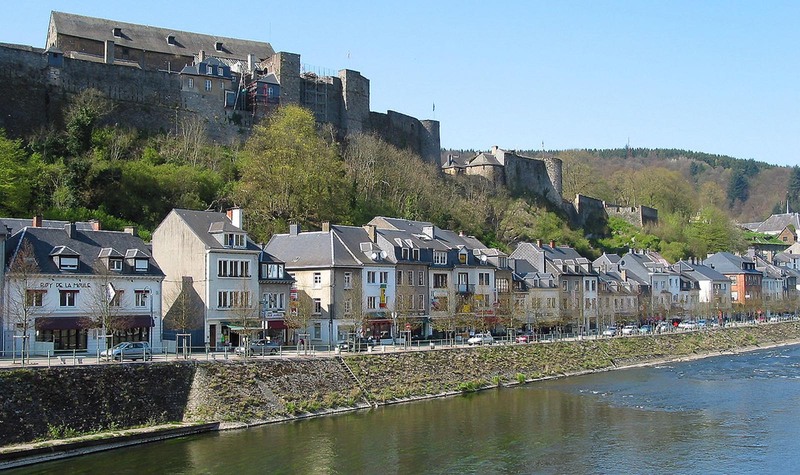 The thickly forested hills and plateaux of the Ardennes are more rugged and rocky with caves and small gorges. 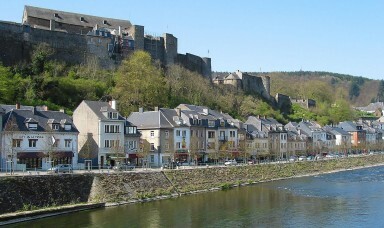 Extending westward into France, this area is eastwardly connected to the Eifel in Germany by the High Fens plateau, on which the Signal de Botrange forms the country’s highest point at 694 metres (2,277 ft). The climate is maritime temperate with significant precipitation in all seasons (Köppen climate classification: Cfb), like most of northwest Europe. The average temperature is lowest in January at 3 °C (37.4 °F) and highest in July at 18 °C (64.4 °F). The average precipitation per month varies between 54 millimetres (2.1 in) for February or April, to 78 mm (3.1 in) for July. Averages for the years 2000 to 2006 show daily temperature minimums of 7 °C (44.6 °F) and maximums of 14 °C (57.2 °F) and monthly rainfall of 74 mm (2.9 in); these are about 1 °C and nearly 10 millimetres above last century’s normal values, respectively. Phytogeographically, Belgium is shared between the Atlantic European and Central European provinces of the Circumboreal Region within the Boreal Kingdom. According to the World Wide Fund for Nature, the territory of Belgium belongs to the ecoregion of Atlantic mixed forests. Because of its high population density, its location in the centre of Western Europe and inadequate political effort, Belgium faces serious environmental problems. A 2003 report suggested Belgian natural waters (rivers and groundwater) to have the lowest water quality of the 122 countries studied. In the 2006 pilot Environmental Performance Index, Belgium scored 75.9% for overall environmental performance and was ranked lowest of the EU member countries, though it was only 39th of 133 countries. Almost all of the Belgian population is urban—97% in 2004. 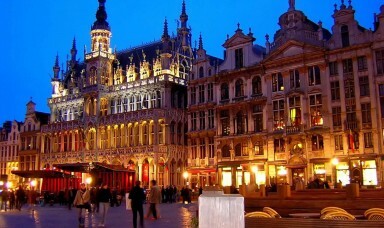 The population density of Belgium is 365 per square kilometre (952 per square mile) as of March 2013. The most densely inhabited area is Flanders. The Ardennes have the lowest density. 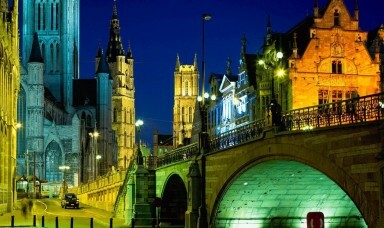 As of 2012, the Flemish Region had a population of 6,350,765, with Antwerp (502,604), Ghent (248,242) and Bruges (117,170), its most populous cities. Wallonia had 3,546,329 with Charleroi (203,871), Liège (195,576) and Namur (110,096), its most populous cities. Brussels has 1,138,854 inhabitants in the Capital Region’s 19 municipalities, three of which have over 100,000 residents. As of 2007, nearly 92% of the population had Belgian citizenship, and other European Union member citizens account for around 6%. The prevalent foreign nationals were Italian (171,918), French (125,061), Dutch (116,970), Moroccan (80,579), Portuguese (43,509), Spanish (42,765), Turkish (39,419) and German (37,621). In 2007, there were 1.38 million foreign-born residents in Belgium, corresponding to 12.9% of the total population. Of these, 685,000 (6.4%) were born outside the EU and 695,000 (6.5%) were born in another EU Member State. At the beginning of 2012, people of foreign background and their descendants were estimated to have formed around 25% of the total population i.e. 2.8 million new Belgians. Of these new Belgians, 1,200,000 are of European ancestry and 1,350,000 are from non-Western countries (Most of them from Morocco, Turkey, Algeria, and the DR Congo). Since the modification of the Belgian nationality law in 1984 more than 1.3 million migrants have acquired Belgian citizenship. The largest group of immigrants and their descendants in Belgium are Moroccans, with more than 450,000 people. The Turks are the third largest group, and the second largest Muslim ethnic group, numbering 220,000. 89.2% of inhabitants of Turkish origin have been naturalized, as have 88.4% of people of Moroccan background, 75.4% of Italians, 56.2% of the French and 47.8% of Dutch people. 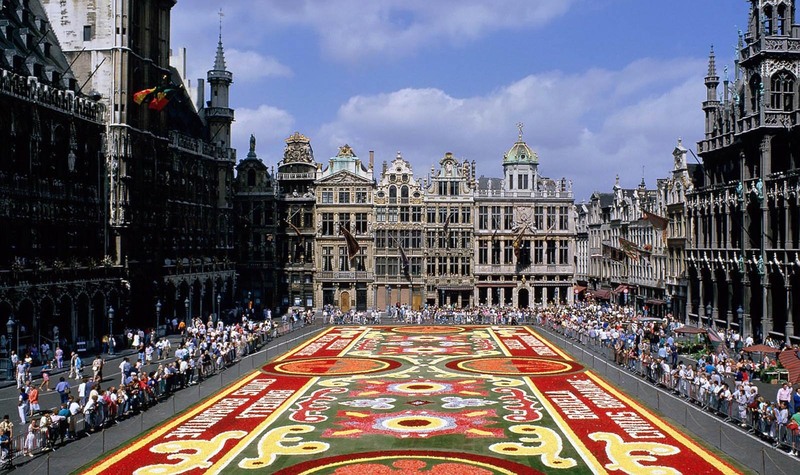 Belgium is a constitutional, popular monarchy and a federal parliamentary democracy. The bicameral federal parliament is composed of a Senate and a Chamber of Representatives. The former is made up of 40 directly elected politicians and 21 representatives appointed by the 3 Community parliaments, 10 co-opted senators and the children of the king, as Senators by Right who in practice do not cast their vote. The Chamber’s 150 representatives are elected under a proportional voting system from 11 electoral districts. Belgium has compulsory voting and thus holds one of the highest rates of voter turnout in the world. The King (currently Philippe) is the head of state, though with limited prerogatives. He appoints ministers, including a Prime Minister, that have the confidence of the Chamber of Representatives to form the federal government. The Council of Ministers is composed of no more than fifteen members. With the possible exception of the Prime Minister, the Council of Ministers is composed of an equal number of Dutch-speaking members and French-speaking members. The judicial system is based on civil law and originates from the Napoleonic code. The Court of Cassation is the court of last resort, with the Court of Appeal one level below. Belgium’s strongly globalized economy and its transport infrastructure are integrated with the rest of Europe. Its location at the heart of a highly industrialized region helped make it the world’s 15th largest trading nation in 2007. The economy is characterized by a highly productive work force, high GNP and high exports per capita. 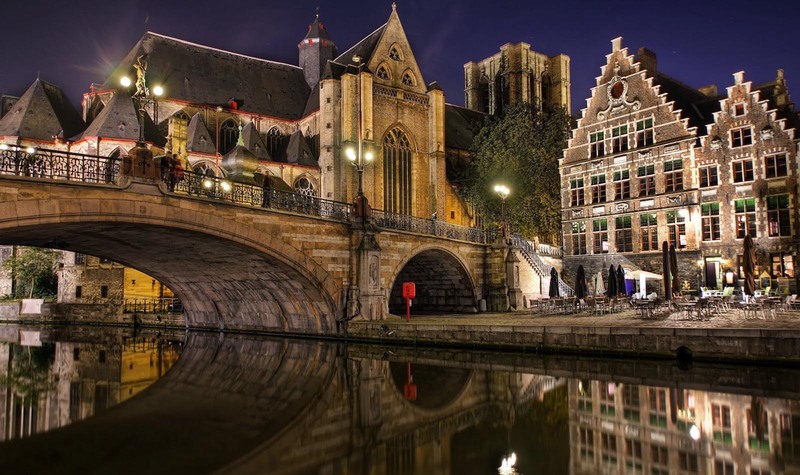 Belgium’s main imports are raw materials, machinery and equipment, chemicals, raw diamonds, pharmaceuticals, foodstuffs, transportation equipment, and oil products. Its main exports are machinery and equipment, chemicals, finished diamonds, metals and metal products, and foodstuffs. 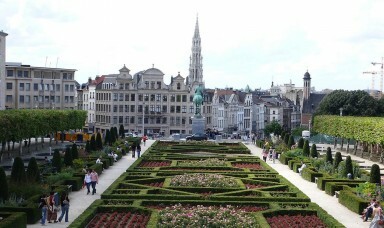 The Belgian economy is heavily service-oriented and shows a dual nature: a dynamic Flemish economy and a Walloon economy that lags behind.3] One of the founding members of the European Union, Belgium strongly supports an open economy and the extension of the powers of EU institutions to integrate member economies. Since 1922, through the Belgium-Luxembourg Economic Union, Belgium and Luxembourg have been a single trade market with customs and currency union. Belgium was the first continental European country to undergo the Industrial Revolution, in the early 19th century. 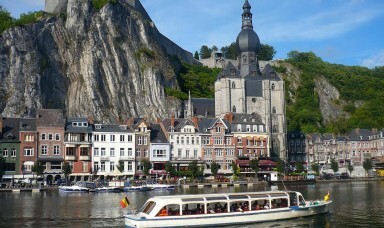 Liège and Charleroi rapidly developed mining and steelmaking, which flourished until the mid-20th century in the Sambre and Meuse valley and made Belgium among one of the three most industrialized nations in the world from 1830 to 1910. However, by the 1840s the textile industry of Flanders was in severe crisis, and the region experienced famine from 1846 to 1850. 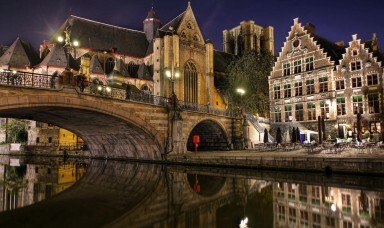 After World War II, Ghent and Antwerp experienced a rapid expansion of the chemical and petroleum industries. The 1973 and 1979 oil crises sent the economy into a recession; it was particularly prolonged in Wallonia, where the steel industry had become less competitive and experienced serious decline. In the 1980s and 1990s, the economic centre of the country continued to shift northwards and is now concentrated in the populous Flemish Diamond area. By the end of the 1980s, Belgian macroeconomic policies had resulted in a cumulative government debt of about 120% of GDP. As of 2006, the budget was balanced and public debt was equal to 90.30% of GDP. In 2005 and 2006, real GDP growth rates of 1.5% and 3.0%, respectively, were slightly above the average for the Euro area. Unemployment rates of 8.4% in 2005 and 8.2% in 2006 were close to the area average. By October 2010, this had grown to 8.5% compared to an average rate of 9.6% for the European Union as a whole (EU 27). From 1832 until 2002, Belgium’s currency was the Belgian franc. Belgium switched to the euro in 2002, with the first sets of euro coins being minted in 1999. The standard Belgian euro coins designated for circulation show the portrait of King Albert II. Despite a 18% decrease observed from 1970 to 1999, Belgium still had in 1999 the highest rail network density within the European Union with 113.8 km/1 000 km2. On the other hand, the same period of time, 1970–1999, has seen a huge growth (+56%) of the motorway network. In 1999, the density of km motorways per 1000 km2 and 1000 inhabitants amounted to 55.1 and 16.5 respectively and were significantly superior to the EU’s means of 13.7 and 15.9. Belgium experiences some of the most congested traffic in Europe. In 2010, commuters to the cities of Brussels and Antwerp spent respectively 65 and 64 hours a year in traffic jams. Like in most small European countries, more than 80% of the airways traffic is handled by a single airport, the Brussels Airport. The ports of Antwerp and Zeebrugge share more than 80% of Belgian maritime traffic, Antwerp being the second European harbour with a gross weight of goods handled of 115 988 000 t in 2000 after a growth of 10.9% over the preceding five years. Despite its political and linguistic divisions, the region corresponding to today’s Belgium has seen the flourishing of major artistic movements that have had tremendous influence on European art and culture. Nowadays, to a certain extent, cultural life is concentrated within each language Community, and a variety of barriers have made a shared cultural sphere less pronounced. 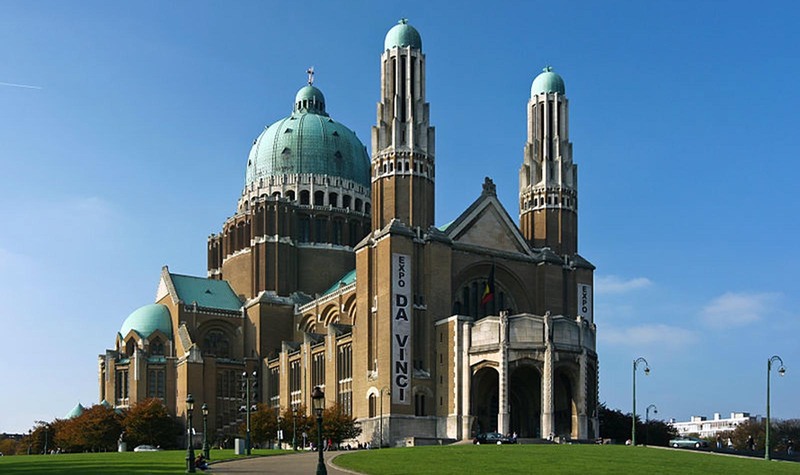 Since the 1970s, there are no bilingual universities or colleges in the country except the Royal Military Academy and the Antwerp Maritime Academy, no common media and no single large cultural or scientific organisation in which both main communities are represented. This web page as a whole, its individual parts, the principle of forming a proposal and the presentation of information, logic, as well as the text and its visual elements, are intellectual property of 5 Stars Global LLC. Any unauthorized duplication of the foregoing is punishable under the federal laws of USA and the laws of State of Florida.